Dollar Card Marketing has created Personal Trainer business cards as well as business cards for a number of fitness centers. Here is a set of fitness business cards that we created for several locations of Wow Workout World. 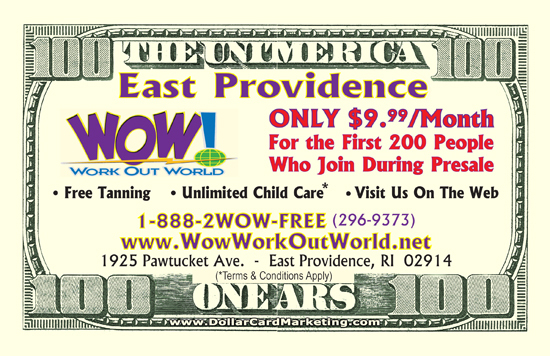 Wow has used our $100 dollar bill business cards as well as our $50 dollar bill business cards to attract new business clients for their fitness centers.